NAPLES, FL (January 30, 2019) – The Naples Players (TNP) present their FREE annual Shakespeare-on-the-Plaza with the classic comedy, A Midsummer Night’s Dream, which runs every Saturday and Sunday, February 16 – March 10, 2019 outside on the Baker Stage in The Naples Players Sugden Plaza. Directed by John McKerrow, A Midsummer Night’s Dream is a free outdoor production in a continuing effort by The Naples Players to provide accessible Shakespeare to the community. The production will be on the Baker Stage, and audience members are invited to bring lawn chairs and picnics to enjoy Shakespeare under the trees and stars in Sugden Plaza. Written by William Shakespeare, A Midsummer Night’s Dream is a mischievous and light comedy, which consists of four plots, interconnected by the wedding celebration of Theseus the Duke of Athens and the Amazon Queen, Hippolyta. The classic story is about order and chaos, reality and appearance, and love and marriage. A cast of 10 actors will seemsly flip between 24 different roles adding to the comedy and layering the mortal world with the fairy world. The cast includes Mark Vanagas as Thesus and Oberon, Alisa Marie Coccari as Hipployta and Titania, Kylie Campbell as Puck, Egeus, Snout and Moon, Kacey Canas plays Hermia, Jennifer Valiente is Helena and Mustardseed, Zachary Pachol is Lysander, Brandon Kade Somers plays Demetrius, Snug and Lion, David Whalley is Bottom and Pyramus, Robert Ball is Peter Quince, Prologue, Wall and Cobweb, and Shelley Gothard plays Flute, Thisbe and Peaseblossom. A Midsummer Night’s Dream on The Baker Stage at The Naples Players Feb 16 -March 10, 2019. “A Midsummer Night’s Dream is one of Shakespeare’s most popular and most performed plays, because people still like to laugh and love is as a fickle and unexplainable as it has always been. I love that we are bringing Shakespeare to our community on our outdoor stage. We are enlighting our audiences on how fun, timeless, and entertaining Shakespeare’s plays can be. Our goal, as I believe was Shakespeare’s goal, is to entertain and allow our audience to laugh.” shares Director John McKerrow. McKerrow’s passion for Shakespeare runs deep. Most recently, McKerrow was seen on the Naples Players stage as John Barrymore in I Hate Hamlet, and he has taught Acting and the Shakespeare class for The Naples Players’ adult education program, Shakespeare in Paradise’s youth program, Opera Naples and for the Bonita Arts Center. John is the founder of Shakespeare in Paradise offering private coaching to area students. John’s directing credits include Macbeth, A Midsummer Night’s Dream, Twelfth Night, and The Tempest. His acting credits include Petruccio in The Taming of The Shrew, Benedick in Much Ado about Nothing, Macbeth, Demetrius in A Midsummer Night’s Dream, and Richard in Lion in Winter. John studied acting and Shakespeare at HB Studios in Manhattan with Edward Morehouse. He worked off-Broadway, on tour in regional theatre, in national commercials with recent television appearances in “Bloodline” with Sissy Spacek and “Ballers” with Dwayne Johnson. Sponsored by Neapolitan Family Magazine, the production’s Scenic Designer is Mike Santos with assistance by Megan Macker, with Costume Design by Mark Vanagas, Lighting Design by Chris Riley, Sound Design by Bradley Van Houten and Grey Conderman, and Stage Managed by Lisa Nuccio. 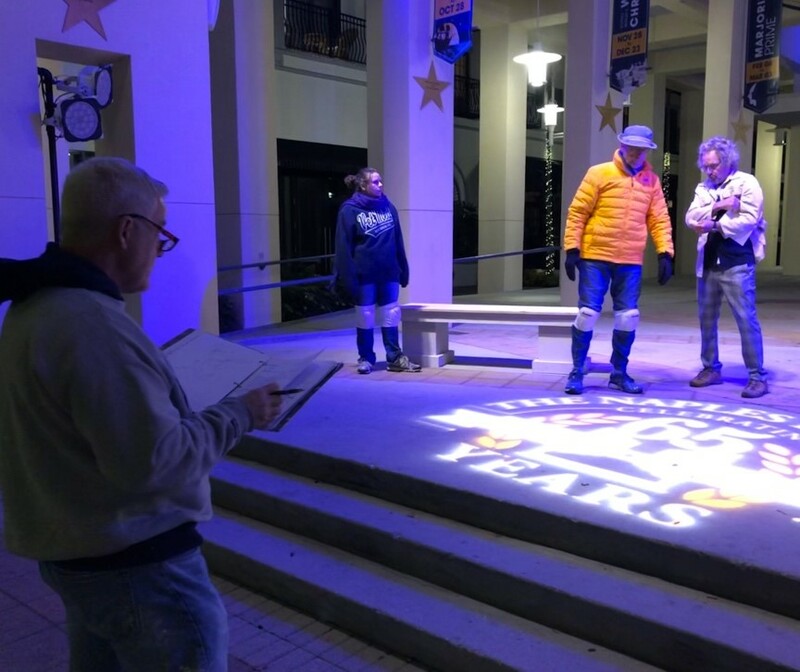 A Midsummer Night’s Dream runs Saturdays and Sundays, February 16 – March 10, 2019 outside on the Baker Stage in The Naples Players Sugden Plaza at 701 5th Avenue South in Naples. The show is free to the public and no ticket reservations are required to attend. Audience members are encouraged to arrive early with lawn chairs and picnic blankets. The Naples Players (TNP) Sugden Community Theatre is Naples oldest and premier theatre and a vital part of the exciting experience of Downtown Naples. As one of the top theatres in the country, TNP is celebrating its 65th season by offering a variety of plays and musicals in three performance spaces: Blackburn Hall, the Tobye Studio Theater, and the outdoor Baker Stage – all located in one building on 5th Avenue South. KidzAct, Southwest Florida’s premier youth theatre program, offers top quality productions as well as in-depth skills classes for children. Adult education classes are offered throughout the year for first-time performers to skilled professionals. Readers Theatre offers an opportunity to hear new works as well as rare one acts and classics. The Naples Players continually seeks to enrich, educate, and entertain the community through a superior theatre experience. TNP is inspiring passion for the performing arts through life-long opportunities to participate in vibrant theatrical experiences. The 65th Anniversary Season, generously sponsored by Tanya & Denny Glass, is filled with dazzling musicals including Guys & Dolls – alongside heartfelt comedies, Always a Bridesmaid, and classics like Neil Simon’s Lost in Yonkers.